Farmers.gov provides farmers, ranchers, and forest landowners with online self-service applications, educational materials, engagement opportunities, and business tools to increase efficiency and productivity while preserving and fostering long-held traditional relationships between local USDA offices and producers. Farmers.gov combines a dynamic customer-driven public website with an authenticated portal where customers can apply for programs, process transactions, and manage accounts. We're building farmers.gov through an agile and iterative process, releasing features early and often to provide immediate value to agricultural producers. Download the farmers.gov talking points to learn more about this growing digital resource for farmers, by farmers. Download a copy of the farmers.gov poster shown above. 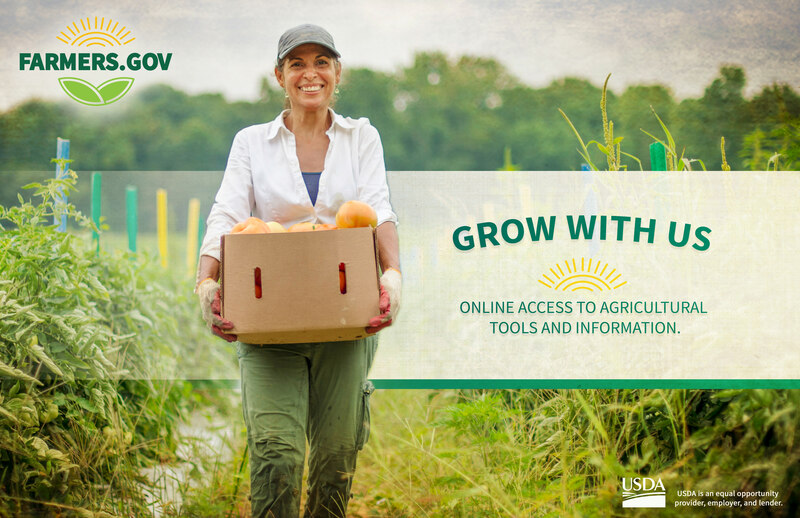 Visit @FarmersGov Flickr to download, print, and share additional farmers.gov posters, social media cards, stickers, and more.